If you need material cut we can do it, regardless of complexity! D&D Manufacturing Company offers services in laser cutting. From complex geometry for turbine components, to armor plate for humvee armor upgrades, golf tee markers, laser cutting is the competitive answer to punching operations. Laser cutting is also an economic solution to producing parts in wide variety of materials and alloys. Please take a look below at how our laser cutting operations can save you time and money. 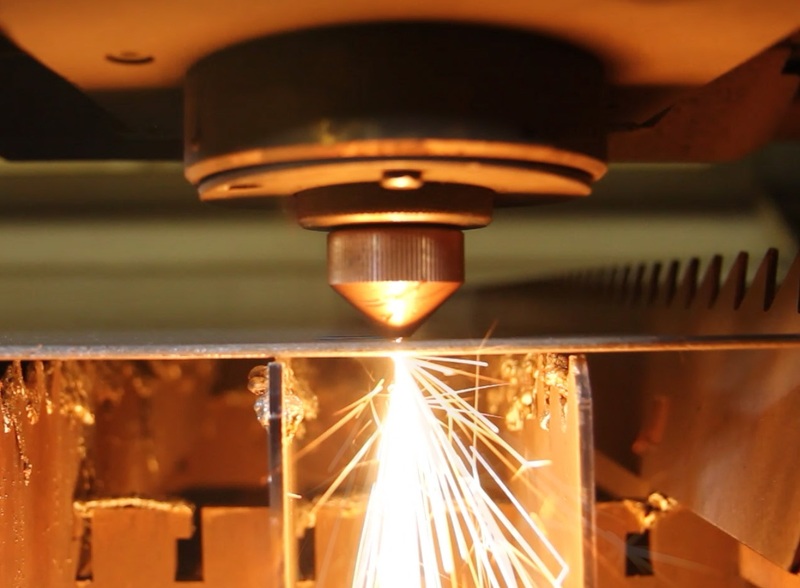 We offer a wide range of different materials that our laser can cut quickly and efficiently. We currently keep stock of sheets of carbon, corten, stainless steel and aluminum. We also carry exotic metals as per customer request. Our laser can cut complex geometric shapes and radius curves in many different sizes, materials and thicknesses. Our CAD designers can also take your CAD files or designs and cut them out of metal! We currently operate our laser with a sliding double-pallet bed that can handle a 5' x 10' sheet with ease. + - .003 for sheet metal. Once parts are cut out on our laser, they can travel from machining, fabrication, welding, paint or straight to you, the customer! Our shop is fully capable of multi-stage parts required for our clients. Since we acquired our laser we have lowered our cost and raised our efficiency through speedy delivery of cut parts and materials. Which means you, the customer get completed parts quicker and with precision accuracy. Copyright 2015 D&D Manufacturing Company Inc.